Download UP Board Syllabus 2019 form this page! 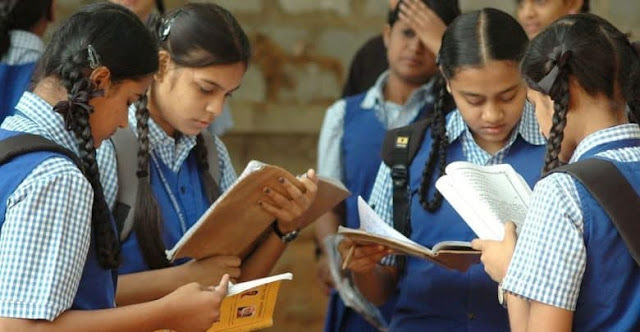 Madhyamik Shiksha Parishad, Uttar Pradesh is all set to conducts the 10th (from 07 February 2019 to 28 February 2019) and 12th (07 February 2019 to 12 March 2019) board examination. Students who are going to appear in the said examination are informed that official Syllabus and new exam pattern is now available at upmsp.nic.in. You are advised to check the same and preparer well according to its. You can download the UP Board Syllabus 2019 for Class 10th 12th in PDF format. For your easement, we have provided the direct link to download the PDF file of the syllabus and exam pattern. The links are provided on the below section of this page of www.sarkarinaukricareer.in. So download your syllabus now by hitting on provided links. Step 1: First of all students required to open the upmsp.edu.in that is the official website of Madhyamik Shiksha Parishad, Uttar Pradesh. Step 2: After going to the home page take your cursor towards the “Important Information & Downloads” section. Step 3: Now go to Syllabus of Class 10th and 12th for High School and Intermediate Exam 2019 and hit on the “High School” or “Intermediate Exam” link. Step 4: As soon as you hit a PDF file of the Syllabus will be opened at your screen. Step 5: Download it and start your preparation according to official syllabus.